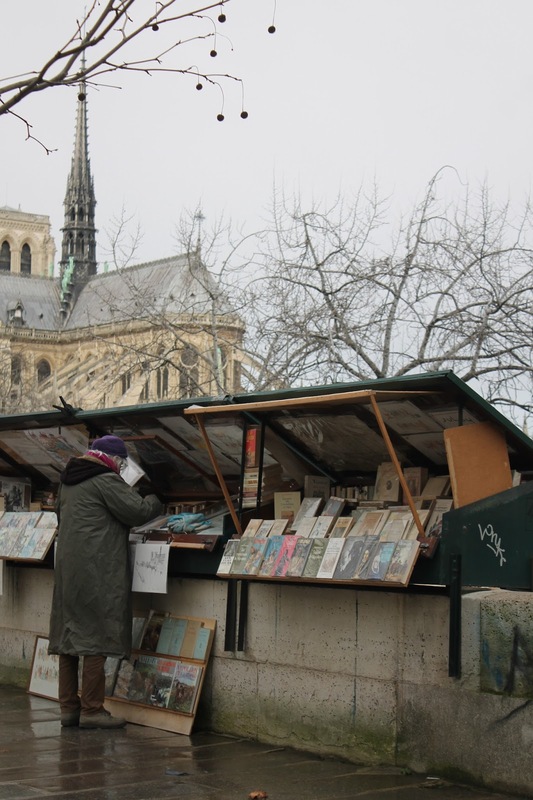 Vendors setting up shop near Notre-Dame. Yesterday morning I got up really early and took the TGV to Paris. Two hours later, there I stood, at Gare de Lyon, in the middle of the busy everyday of a Parisian Tuesday. Even though I did not want to feel like this, taking the first few steps in this city that has just recently experienced horrible attacks, was strange. I started walking along the river, and by the time I crossed the Ile-de-St Louis the feeling was gone. I realised that it was just an average Tuesday. With very few tourists. 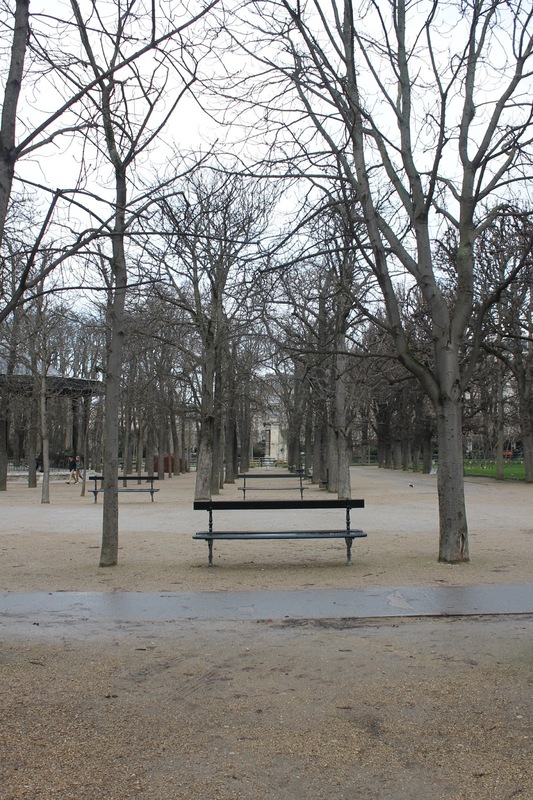 I headed for the Marché on Place Maubert, was not too impressed and went on to Jardin du Luxembourg. It was almost empty, the exception being a few middle-aged locals dressed in black tai-chiing (let’s assume that a word). 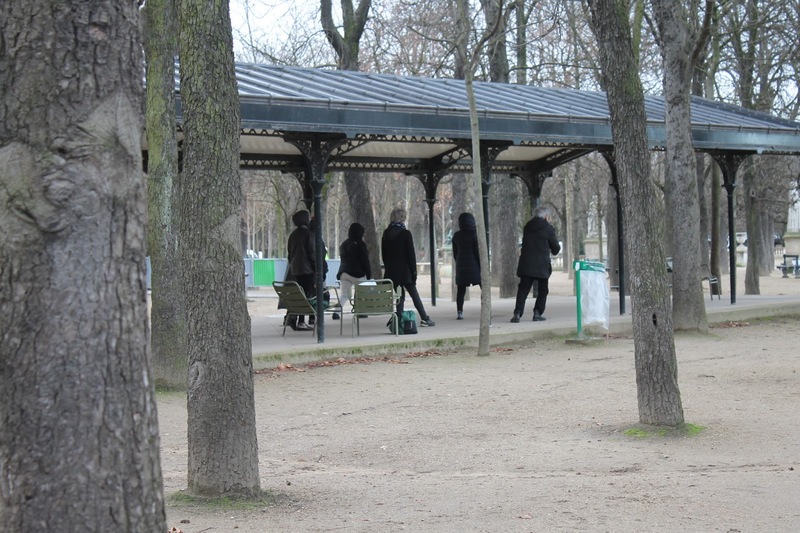 There was not a lot of green, but I liked the symmetry of wintery trees and park benches. With my long list of coffee shops to try, Le Marais was next. I have been to Paris once before and did not enjoy it all that much. One of the reasons was that we could not find any cosy cafés to sit down and rest between seeing the Eiffel tower and running around the Arc de Triomphe. I am not sure if it was because we found ourselves in such touristy areas or because the brasseries around just looked too fancy to be in our price range. Either way, finding a café was not a challenge yesterday. Choosing one, however… Fragments looked lovely, but was a bit croweded when I got there. Will absolutely try it next time. One shop I want to recommend is Ofr. Librairie,galerie. 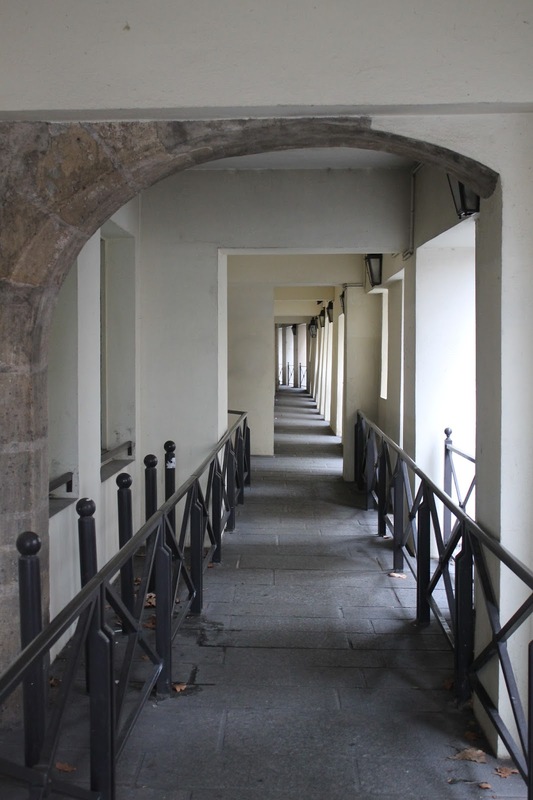 It is located close to Fondation, on the rue du Petit Thouars. While both Lyon and Paris have what feels like millions of bookshops, this one was particularly fascinating. You could spend hours flipping through cool magazines, whimsical books and unexpected finds and you will feel completely comfortable doing so. It was incredibly tough to resist the urge to buy something, but I ended up picking just a few postcards displaying everyday life in the neighbourhood. A funny sight I came across was at the Canal du St Martin. 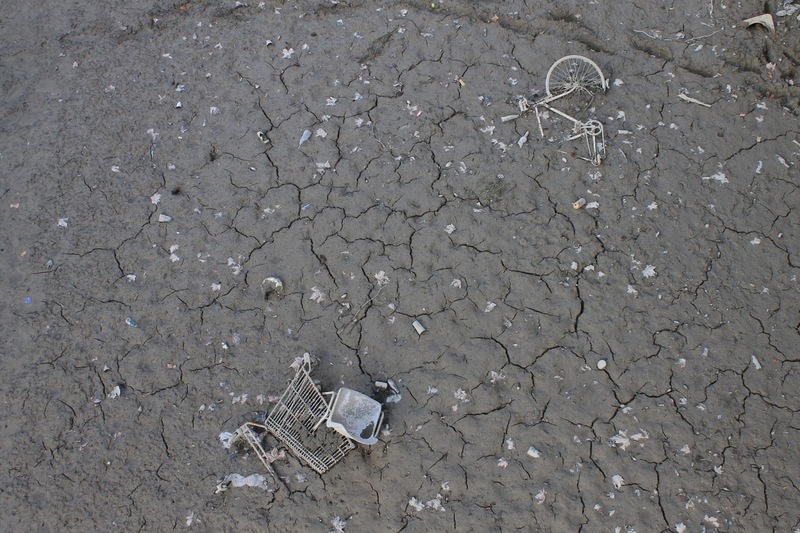 For some reason (probably because they were cleaning it), there was no water in it and all kinds of objects like bicycles and shopping carts covered in mud were revealed. And EVERYBODY along the banks and on the bridges stood there taking pictures. I joined them. 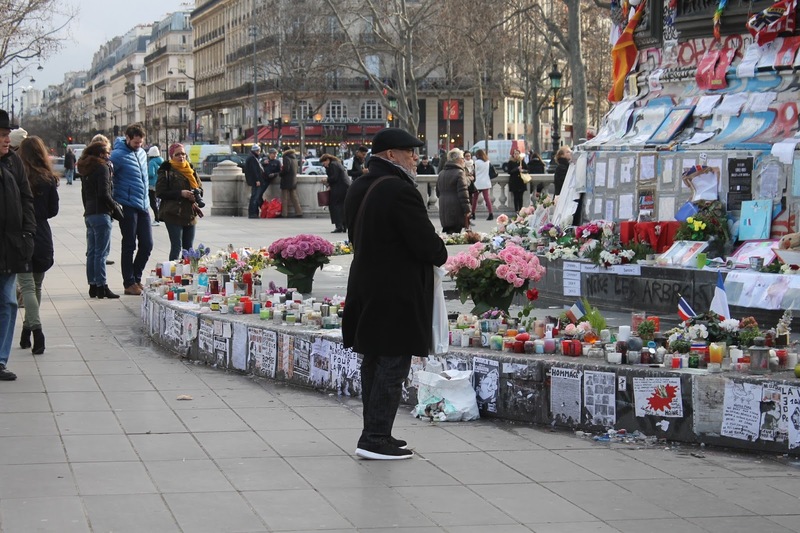 Passing the Place de la Republique I found people still mourning for the victims of November, laying down flowers and candles. Talking about it countless times in the past weeks, even doing research on it for a presentation, terrorism is still ungraspable for me. I feel so sad for all those affected. Du Pain et des Idées was delicious. 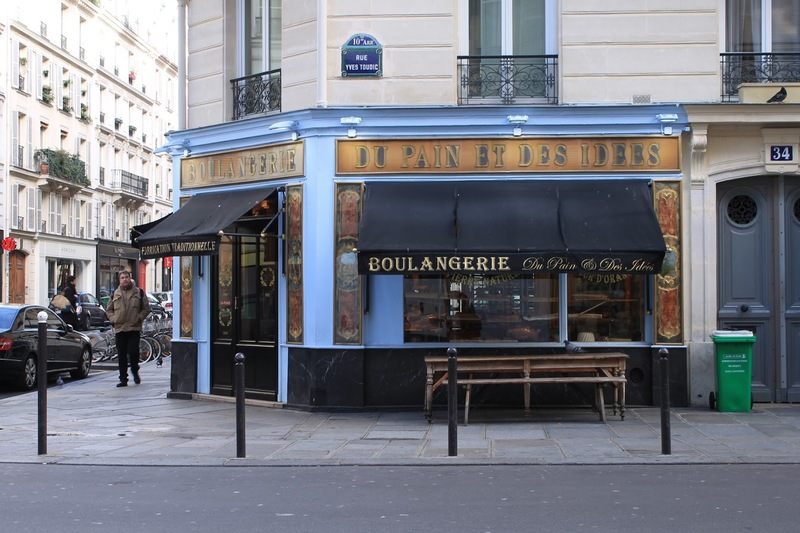 I had a chocolatine, because I did not dare to try the Galette des Rois, I was too afraid it had marzipan filling. 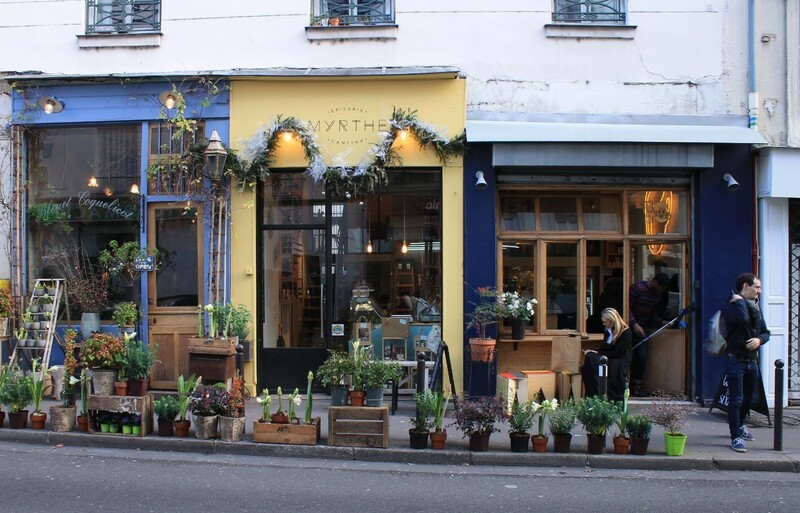 La Tresoirerie, a serene shop for beautiful kitchen and household pieces in a quiet side street. Ich bin derzeit in der glücklichen Situation, jederzeit spontan nach Paris fahren zu können, also sag nur Bescheid! Würde mich sehr freuen!